I think we can all agree that money is not a fun subject to talk about, especially with your peers. No one wants to think about savings accounts, retirement funds, and credit while you’re out with friends and trying to have a fun time. Gaby Dunn, the host of the financial podcast, Bad With Money, makes talking about money less of a taboo topic and more of a relatable one. Nicole Sam, a Digital Product Manager at Simon & Schuster, shares the 5 thats she learned from BAD WITH MONEY. 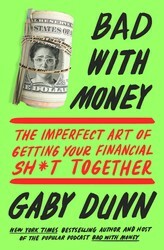 I’ve been a fan of Gaby Dunn for awhile now, so when I found out she was turning her hilarious and relevant podcast Bad with Money into a book, I knew I would be first in line for a copy. I was lucky enough to meet and chat with Gaby on a few occasions (at a queer adult camp called A-Camp and at an event held at Simon & Schuster offices) and one thing was abundantly clear: This woman brings an honest, real, and funny outlook to subjects many people shy away from. On her podcast, Gaby talks about money in a way that I think we all wish we could. Her book is no different. Here are 5 things I learned while reading Bad With Money. Our families play a large role in how we view money and finances. 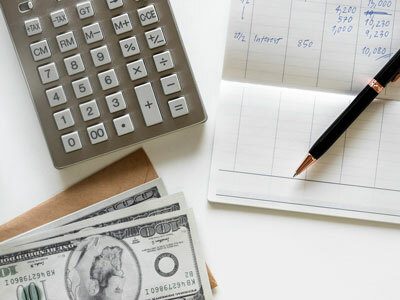 Chances are, if you think about your relationship with money, you’ll be able to track the source of those feelings back to your parents or other members of your family (blood or otherwise) who played an influential role in your development. So many of my friends have told me the reason they have credit card debt is because they watched their parents spend beyond their means on vacations and private schools and the like. Education is tied directly to money (and socioeconomic status). Spoiler alert: College is expensive! If you want what society has deemed to be a “good” education, then you obviously need to go to the “best” schools. Well, guess what? Those schools are the most expensive. And who can afford the most expensive schools? The middle to upper classes. So that leaves the vast majority of us, who don’t have the ability to pay outright for the education we need to get the jobs we want, to take out student loans. It’s okay (and actually a good idea) to talk to your peers about money. What’s your annual salary? Now, raise your hand if just thinking of answering that question made you uncomfortable. Chances are, most of you reading this raised your hand. That’s because money has been stigmatized so much that we are afraid to talk about it. Gaby said something at an event that really resonated with me. She said that we have the best information about our finances. When we keep that information to ourselves, we do a disservice to ourselves and our peers. This was huge for me. Not only is money itself stigmatized, but not knowing about money also comes with a stigma of its own. The best way to get this information is to just ask. Go to your bank and ask what certain parts of your statement mean. Ask your manager or HR what it means when portions of your salary are taken out for health insurance and taxes. The problem just might be the system, not us. Want to hear more from Gaby Dunn? Watch the video below for 5 Tips on Balancing Love & Money. And be sure to pick up a copy of BAD WITH MONEY! Dunn argues that our inability to speak honestly about money is our #1 barrier to understanding it, leading us to feel alone, ashamed and anxious, which in turns makes us feel even more overwhelmed by it. She reveals the legitimate, systemic reasons behind our feeling of helplessness when it comes to personal finance, demystifying the many signposts on the road to getting our financial sh*t together, like how to choose an insurance plan or buy a car, sign up for a credit card or take out student loans. Even a topic as notoriously dry as money becomes hilarious and engaging in the hands of Dunn, who weaves her own stories with the perspectives of various comedians, artists, students, and more, arguing that—even without selling our bodies to science or suffering the indignity of snobby thrift shop buyers—we can all start taking control of our financial futures.